Located in a very hectic Karol Bagh. Surrounded by night market. Only down side is hot water isn’t available through the whole day but you can request it to the front desk. Overall value for money. It is really a lovely hotel, room is very neat and clean. Staffs are very friendly, supportive and cooperative. Breakfast is also good. We are very happy staying in this beautiful hotel. This hotel is in a very busy area but the rooms are generally good, clean and sufficiently appointed...do not hesitate to ask the staff to help you out with any concerns as they are excellent....good restaurant with small outside seating area and good food...just beer available which is somewhat over-priced for India.....but overall highly recommended due to excellent value! This hotel was a real find although not easy to find as it's down a side road. Very close to Karol Barg metro making getting around very easy. The room was very clean, although compact and the bathroom facilities good with hot water when requested. We had no window as our room was directly behind reception but this didn't matter, however it was a little noisy sometimes with people coming in. The breakfast buffet was excellent and the staff very friendly and helpful, especially the lady on the front desk, who spoke good English. We moved onto a group tour and another hotel a few roads closer to the metro and the Surya International was in a class above despite the price being comparable. I would stay again and wouldn't hesitate to recommend it to others. Hotel is good, amazing staff attitude but neighborhood is busy, if you are going by yourself is a little bit tricky to find it. During night, the local market is active and streets around are crowded. Best service clean rooms.. accessible to shopping areas.. The rooms are quite small, and it can be very congested moving around the bed if there is more than one person, or you have a lot of luggage. The breakfasts are awesome, and the location can't be beat as far as a close hotel to the Metro that offers convenient independent travel. Many of the rooms don't have windows, and the upper level rooms have a lot of noise due to kitchen preparations all night. I would recommend a lower room. This was my first stay at the Surya International but not at this hotel building. Under its previous owners the hotel was conveniently located and comfortable. However as the Surya International its service has moved up a notch or two. I liked the friendly welcome, the willingness to respond understandingly to my faltering Hindi, the quiet and comfortable room, and the helpfulness of the staff, both in the lobby and in the dining room. 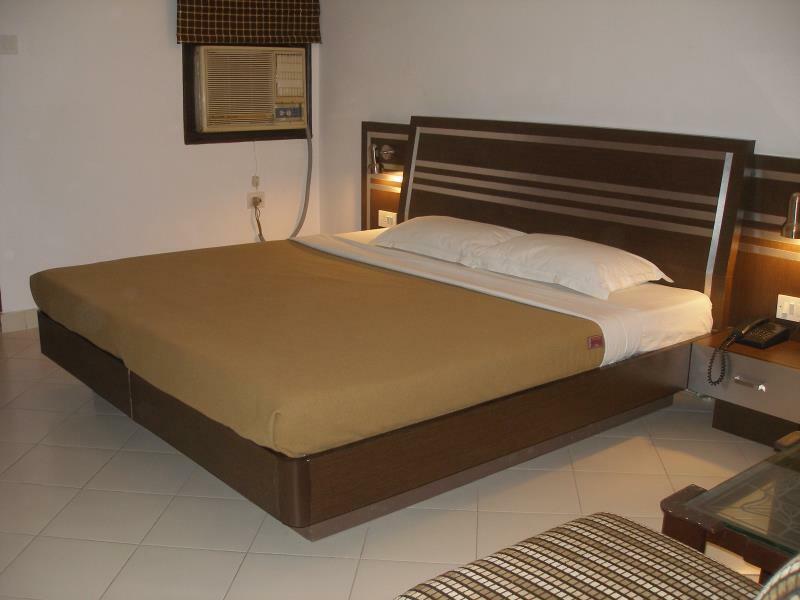 There are lots of hotels in Karol Bagh, many of them good. But the Surya International is worth more than a second look. If I am in Delhi again soon it will be on my list of places to stay. 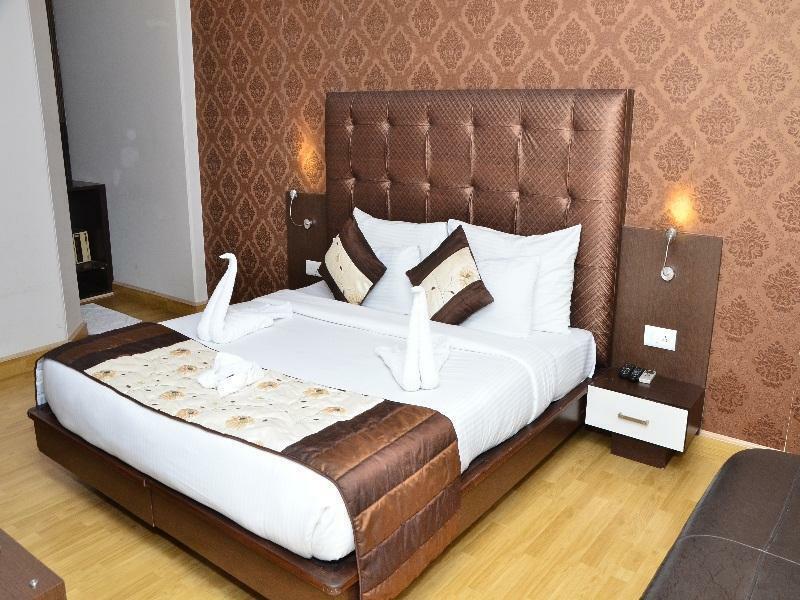 Friendly and responsive staff, good meals, nice comfortable room. A good place to stay. It's not new and it's a bit tucked away, but it is an excellent place to stay if you are on a budget but want somewhere comfortable where everything works. Hotel was pretty cheap, that is why we've chosen to stay there. We got a very noisy room without a window, so the air quality was horrible and there was constant noise from the hallway. I wouldn't recommend any budget traveller to stay at this place. Breakfast was sub-par. wir haben drei nächte in clark surya gewohnt, das hotel fanden wir für delhi ganz gut, auch die lage. das hotel ist nicht neu aber gepflegt und sauber. das personal war freundlich und hilfsbereit. das frühstück fanden wir nicht toll, aber bei dem preis-leistungsverhältnis kann man das vernachlässigen. das einzige, was uns nicht gefallen hat, war, dass wir die fenster nicht öffnen konnten, entweder luftschacht oder ac waren alternativen. das hotel fanden wir gut, jedenfalls stimmt das preis-leistungsverhältnis. die lage war auch in ordnung, das personal freundlich. was uns nicht gefallen hat, war, dass wir zimmer bekommen haben (zwei aufenthalte), dessen fenster nicht geöffnet werden konnten. luftschacht oder klimaanlage war die alternative. beides war für uns nicht möglich. das frühstück fanden wir nicht gut. El hotel es aseado pero el vecindario, como muchos sitios en India, no. La comida esta bien y variada. สถานีรถไฟใต้ดิน Karol Bagh - ระยะ 0.97 กม.